We’ve arrived in Richmond, VA for the North American Handmade Bicycle Show. Look for us at booth #503. We’re just between Calfee and Cyfac and just across from Black Cat Bicycles. I’m here with a pre-release version of BikeCAD Pro 7.0. I’m looking forward to showing off the new features including curved tubes, enhanced logo controls, and customizable colour palettes. I’ll also be doing a seminar at 4pm on Saturday. Hoping to come away from the weekend with some good feedback. 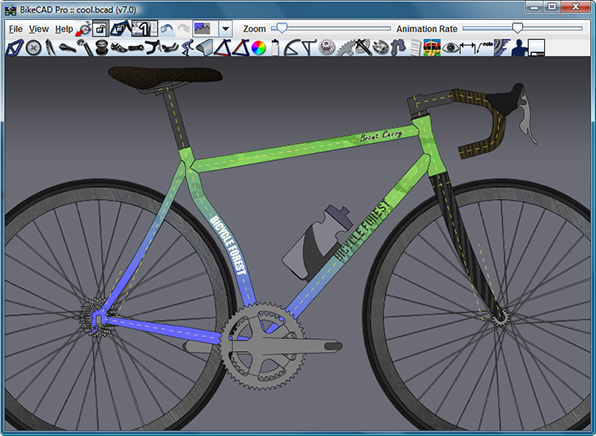 To purchase a copy of BikeCAD Pro click here. You are currently browsing the Bicycle Forest Blog weblog archives for February, 2010.